IS LASIK FOR YOU ? With recent technological advances in the development of lasers for vision correction, millions of people who are nearsighted, farsighted, or astigmatic can now see without depending on glasses or contact lenses for most, if not all, of their activities. Proven in extensive clinical trials in the United States and around the world, the LASIK procedure takes only minutes. Most patients report they are back to their normal work and social activities the next day, and enjoying their favorite sports in no time at all. Why does Dr. Mohebbi partner with NVISION ? 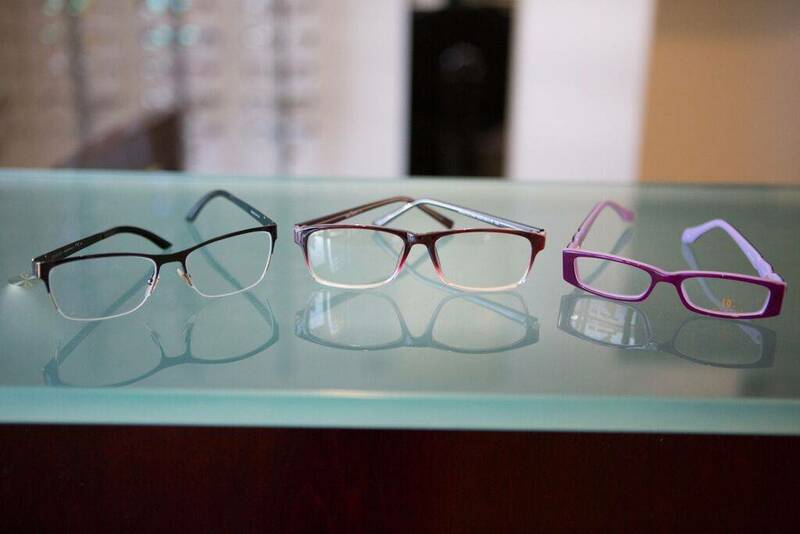 Dr. Mohebbi values his patients , and wants them to have the best vision possible in a manner that fits their lifestyle. He wants his patients who choose LASIK to have the best ophthalmic surgeon available. On the basis of his research of LASIK surgeons in Southern California, Dr. Mohebbi has chosen to partner with Dr. Thomas S. Tooma and Dr. Dan B. Tran. Both are considered top-rated ophthalmic surgeons with vast and tremendous experience in laser vision correction. Dr. Mohebbi will perform your pre-LASIK evaluation and take accurate visual measurements in the comfort and convenience of his office. Dr. Tooma or Dr. Tran will perform your surgery at the NVISION Center in Newport Beach. Dr. Mohebbi will perform your postoperative exams, and monitor your vision and the health of your eyes after your surgery. He believes that by working closely together with Dr. Tooma or Dr. Tran, He can give you outstanding quality patient care and assure you of a successful surgical outcome. Dr. Mohebbi is an experienced independent health care provider who specializes in examination, diagnosis, treatment, and management of eye health and vision care. Dr. Mohebbi will provide an independent objective opinion on how to best achieve vision correction to fit your lifestyle. Both Thomas S. Tooma, M.D. and Dan B. Tran, M.D. are two of the most experienced LASIK surgeons in the U.S., performing over 100,000 successful LASIK procedures combined. NVISION/Coastal Vision also uses the most up-to-date technology available. Custom LASIK with intralase, the safest and most precise method of laser vision correction. Both NVISION/Coastal Vision stand behind your eyes by offering a Lifetime Commitment program for no cost enhancements, if even necessary. Over 4,000 physicians have chosen TLC or Coastal Vision for their vision correction, in addition to professional athletes like Tiger Woods. Lastly, the LASIK procedures can be claimed in most flexible spending medical reimbursement programs depending on your individual program. Please check with your Human Resource coordinator or accountant. NVISION/Coastal Vision can make also your LASIK procedure affordable through various financing options they have available to them. If you are considering this exciting alternative to eyeglasses or contact lenses, wouldn’t it be helpful to have a much clearer view of how to proceed to the next step, amidst all the noise and confusion of competing radio, TV, and newspaper advertisements? Are you a suitable candidate for the LASIK procedure? How do you choose the finest doctors and appropriate technology to achieve the safest and most satisfying visual results? How do you get the highest standard of quality professional care at an affordable fee? What is the best way to pay for this? Dr. Ali Mohebbi in partnership with Thomas S. Tooma, M.D. and Dan B. Tran, M.D. of NVISION and Coastal Vision, believes that he can confidently answer all 4 important questions in an accurate and honest manner to assist you in making a well informed choice. For more information, call NVISION Laser Eye Center Newport Beach at ( 888) 954-3937 or Coastal Vision Newport Beach at (949) 453-4661 for your free LASIK consultation or have any additional questions answered. As added convenience and comfort, Dr. Mohebbi can also provide a free LASIK consultation to help you answer further questions with your regularly paid eye examination.